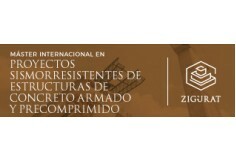 En breve un responsable de Zigurat, se pondrá en contacto contigo para informarte. El programa de certificación es impartido en modalidad online. El periodo empleado para la consecución del programa es de 16 meses. 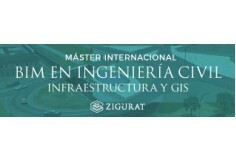 Una vez cumplidas las 800 horas los alumnos reciben el título: Global BIM Management Certification Program. 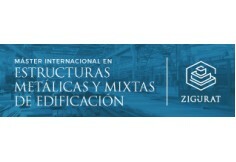 Global BIM Management Certification Program está diseñado para preparar a los profesionales -del sector de la arquitectura, la ingeniería y la construcción- en las metodologías de BIM, implementarlas y trabajar mancomunadamente en equipos altamente efectivos, que conlleven a mejoras significativas en la eficiencia y el control de costos. 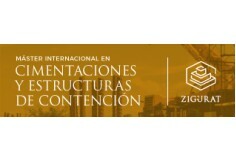 Los interesados en realizar el programa deben tener titulación universitaria en Arquitectura, Ingeniería Civil y áreas relacionadas con la Inspección de Construcción. Al finalizar, los egresados podrán desempeñarse como BIM Managers en empresas donde el conocimiento y experiencia en está área sea requisito indispensable para el desarrollo del cargo. Global BIM Management Certification Program. Global BIM Management Certification Program is one of the most advanced professional certification programs for BIM Managers in the world. This internationally popular program caters to the needs of professionals in more than 20 sectors in the AECO (Architecture, Engineering, Construction and Operations) industry. We provide our students with the methodology, tools and skills necessary to become leaders in BIM implementation. 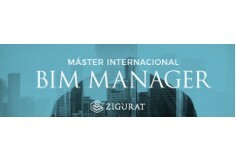 Become a fully capable BIM Manager working in construction projects with high-performance teams from all around the world. BIM is changing the way projects evolve around the world, how they begin and conclude, whether an entire project or a specific BIM implementation plan in a big or small company. This emerging practice is the result of progress in the AECO industry, requiring new mindsets, processes and technological proficiencies to achieve significant improvements in efficiency and cost control. 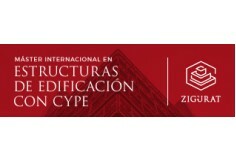 This global certification program is developed together with BIM Freelance (our academic partners) leading BIM practitioners, professors and architectural firms with a long history in BIM implementation, counting more than 20 years of experience in the AECO industry. In addition, the range of hand-picked professors, who teach, is outstanding, with lecturers from the Americas, Europe, Asia, Oceania and Africa. This program is designed to prepare architecture, engineering and construction sector professionals. Participants may have various levels of experience to successfully learn BIM methodologies, implement them and work in highly effective teams with other professionals in the AECO industry. 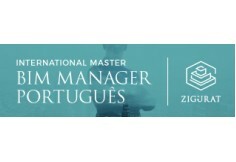 The program consists of more than 600 hours of streaming masterclasses and webinars, video tutorials, recorded lectures, technical documentation and international real projects with collaborative methodology. The purpose of this module is to prepare the participant to become a specialist in BIM and the industry’s major technological tools, and to maintain a cross-sectional view of BIM throughout the lifecycle of a building. At the beginning of the program, the participant must choose at least two study paths to take: Revit (Autodesk), ArchiCAD (Graphisoft), AECOsim (Bentley Systems) and Allplan (Nemetschek). In this new module, participants will enter the territory of the BIM Expert, and will acquire the necessary skills to enter the world of BIM as a pro. Once the participant has acquired skills in BIM implementation within an organization, he will have the opportunity to deepen his understanding of BIM management. This will allow the participant to realize the full potential of collaborative work that enables integrated practice, through an appropriate strategy and management of BIM projects. In this module, the participant will delve into the knowledge and skills of a BIM Manager, as chief technology officer and change agent. This is where participants learn the implementation at its best, with organizations that have BIM processes and skills at their core. The BIM Manager, must understand the urgency of dealing with climate change, overcome the unsustainability of the current growth model and minimize energy dependence and other global challenges. New demanding international sustainability policies are radically transforming the building sector. After the phases of design and construction are completed, the building or infrastructure reaches the phases of operations and maintenance. This new phase occupies most of the real estate asset’s lifecycle. To establish an optimal collaboration with the Facility Manager, the BIM Manager should understand this field: What is facility management? How do major institutions approach it? How does legislation provide a common framework for facility management performance? Standardization is essential for industry and IFC, with parameters defined by buildingSmart.The openBIM concept throughout the lifecycle of the project making it profitable for interoperability, directly affecting the scope of the BIM objects. The Global BIM Management Certification Program prepares the participants to lead a new business paradigm in the AECO industry. During this program, the participants learn how to handle the newest digital tools that can be applied to the design, construction and maintenance of buildings. This is achieved through the integrated practice of IPD – Integrated Project Delivery. 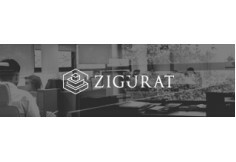 In collaboration with multidisciplinary partners worldwide, numerous real international projects are accomplished, using various software (Revit, ArchiCAD, Allplan and AECOsim) and a platform for Project Management. In addition to this, participants learn how to implement and manage BIM systems in high-performance teams, both in small businesses (Little BIM) and large corporations (Big BIM). 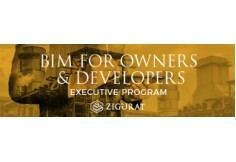 The goal of this program, designed for architects and engineers who have background knowledge in building projects, is to fully certify and authorize participants in the field of BIM Management. 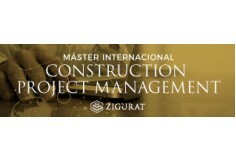 A BIM Manager oversees a whole building´ lifecycle, makes sure that all elements of a model are in accordance with a Project Execution Plan (BEP) working collaboratively with all the teams involved in a construction project. A BIM Manager must detect any challenges in a project as well as keep costs down, improve an overall workflow and efficiency.